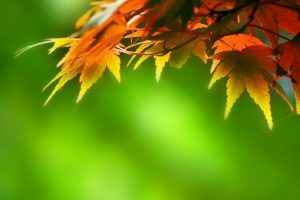 Fall is Nearly Here – Is Your Lighting Ready? August is nearly over, and that means that fall isn’t too far away. You’ve most likely noticed the days getting shorter over the past few weeks, and with the sun setting a few minutes earlier each day, it can often mean that you’re spending more time inside with the lights on. At Hortons Home Lighting, we want to make sure that your lighting is ready for fall and winter, and if you’re looking to update fixtures or change out some bulbs, we’re here to help. One thing to consider when preparing your home for fall is how you can update your light bulbs. Brighter options that provide more natural light can be a great alternative to dimmer bulbs that produce yellow light. You’ll be getting less sunlight for the next few months, so why not produce natural light inside the house? We can show you a number of options that can have a positive effect on your mood while you’re stuck inside during the colder days in Chicagoland. Since dusk will be arriving earlier and earlier, it’s important to think about what type of lighting you’ll need at night. You may have thick curtains on your windows to keep the cold air out and the warm air in, and you’ll need to think about how your lighting will interact with the curtain fabric. Will it be absorbed or reflected, and how will the colors work with your light fixtures? You may need to add an extra floor lamp to your living room so that you won’t have to worry about eye strain when you’re reading or playing board games with your family. 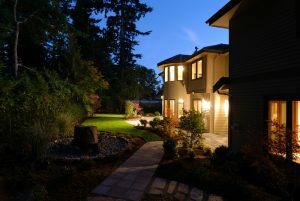 Your pathway lights may look amazing during those crisp fall evenings, but if they don’t come on until it’s completely dark outside, you may be affecting the aesthetic and appeal of the exterior of your house. It’s important to check that your outdoor lighting is working properly before colder weather arrives. While you’re at it, be sure to check any timers that you have set. You’ll want your outdoor fixtures to come on a bit earlier than they did during the summer, as this will provide both security and ambience until spring arrives. There many things to consider when thinking about lighting your home for fall and winter. There will be fewer hours of sunlight each day, and the direction of the sun streaming in your windows will change over the course of the seasons. As you pull out those warmer clothes to get ready, don’t forget about how your interior and exterior lighting can also affect your mood. At Hortons in La Grange, Chicago, and Orland Park, we love meeting with people to discuss their seasonal needs. Whether you’re looking for new light fixtures, home decor, or holiday decorations, we’re here to help. Visit one of our area locations, or use the form below to contact a member of our team. We’ll respond as soon as we can with an answer to your questions.